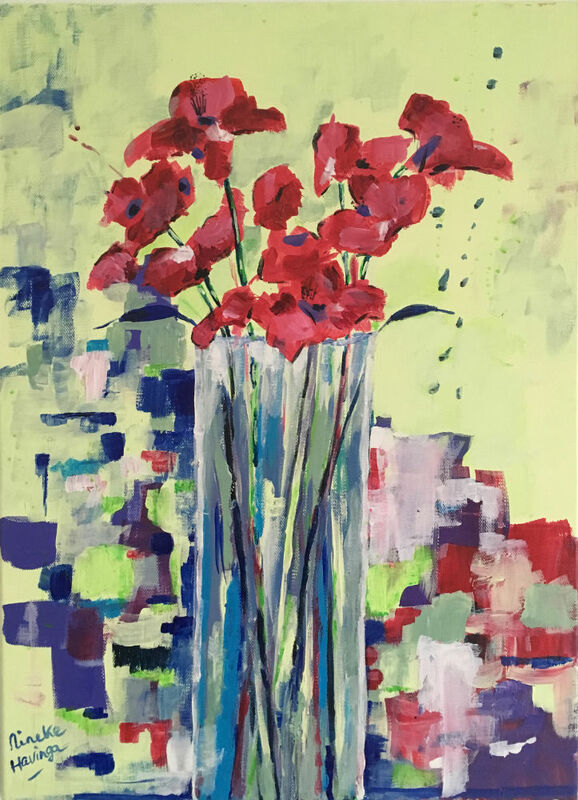 This is my second painting with poppies, this one is more abstract. The red and the blues go very well together. It is a very lively painting which will look lovely in any room.